There’s no denying that selling your home is a big deal. It’s probably one of the largest financial transactions you’ll be involved in (aside from when you purchased the home). Understandably, the price a home sells for is typically priority one for most sellers. However, getting the best price is not automatic. With all of those online valuation sites, your comparative market analysis, and up to the minute market information, people sometimes forget that real estate is still mostly about people, not data. The price you get for your home will be determined by the what a buyer is willing to pay you for it. It’s not always about the comps, or the market, and it’s certainly not about Zillow’s value-approximating algorithm. It’s ultimately about how badly your buyer(s) want your house. This is why negotiation is so important and why I’ve outlined these 5 negotiating tips for sellers below. Of course, all of these negotiation tactics will work best if your home has been properly marketed in order to attain multiple offers. Many buyers will make a low initial offer in order to leave room for negotiation. Sellers sometimes feel they need to make a counter that’s lower than their list price so they don’t lose the buyer altogether. However, this probably not the best strategy when it comes to getting top dollar for your home. Instead, you can counter offer with your original list price. This sets the tone that you know what your home is worth and you are not willing to let it go for less. If your list price is fair, than a truly interested buyer will remain engaged in the negotiation with you. Some buyers may leave the negotiation altogether if they feel you are unwilling to lower the price. But, these aren’t the buyers you want anyway. Some buyers are more interested in getting a deal than they are in your specific home. This is why it’s important to attract as many buyers as possible, so you can weed out the lowballers from the truly interested. You can also consider countering at a price that is slightly lower than your list price. If you lower your price by a couple thousand dollars, it can help prevent turning off buyers while having a minimal affect on your bottom line. 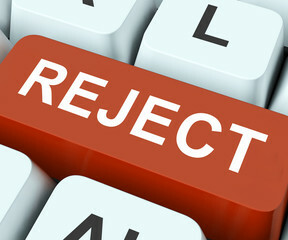 Another tactic is to reject the buyers offer and request that they submit a new one that is higher. While this is a little more brazen, it sends a stronger message that you really know what your home is worth. But it also comes with some technical advantages. First, the buyer will either be turned off, or they’ll comply and write a higher offer. If they comply, then you’ve just raised the starting point for your negotiation. Good job! Also, you are also not locked into a negotiation with the particular buyer yet. Offers and counter offers are legal documents with ticking clocks. The buyer know that a new offer can come along at any minute, so they will feel pressure to quickly re-submit with a competitive offer. If your home has only been on the market for a few days, the buyer will feel more pressure knowing that there is a lot of fresh interest from other buyers. A common way to gain some leverage as a seller is to set a offer review date for your new listing. This means that you tell potential buyers that all offers are going to be considered at the same time on a specific date. This generally prompts buyers to make higher offers because they expect to be in competition with other buyers. Also, when you have multiple offers you can counter everyone back for their “highest and best” to see if you can further improve your choices. 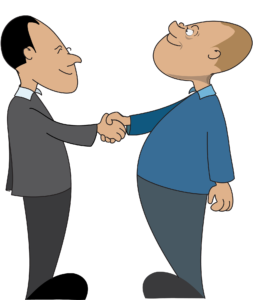 When you make a counter offer, you are engaged in a legally binding negotiation with that buyer. This effectively prevents you from accepting other offers while that counter offer is outstanding. 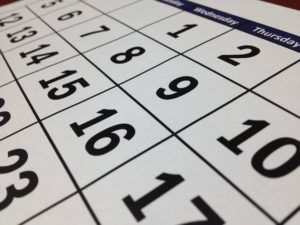 Counter offers typically expire a few days after they are written. In California, this timeframe is 3 days by default. However, you can shorten that time to whatever you like when you write the counter offer. If you are experiencing a lot of activity on your home, you may want to make the expiration date only 1 or 2 days later. This helps move the negotiation process along faster as well as not keeping you locked in with any particular buyer for too long. You will often get offers that are requesting you to pay for certain concessions. These concessions can range anywhere from covering closing costs, rate buy-downs, or paying for home repairs. Closing costs, for example, can be pretty substantial and often put a burden on buyers who are already strapped for cash after coming up with a large down payment. A solution to this could be to accept a buyers request to pay closing costs, but increase the price of the home by the same amount. What buyers sometimes don’t realize is that a concession like this is equivalent to a price reduction for a seller. They both go directly to your bottom line on the sale. $10,000 in closing costs for a buyer can be a huge wrench in the gears for the transaction. But, a $10,000 increase in the sale price would actually have a pretty small impact on their monthly payment. By raising the price and paying for the buyer’s closing costs, you’ve accomplished a win-win scenario. The buyer doesn’t need to come up with an additional $10,000, and you get your desired price! The trick to successfully utilizing any of these negotiation tactics is making sure that you are offering a truly desirable home. You can’t strong arm people into paying a high end price for a sub-par home. You need to make sure that you home is priced where it should be, for what it is. People need to truly desire your home in order for you to command top dollar for it. If you have perfectly positioned your home in the local market, you will be able to implement these strategies to push the offers you get to the higher end. Posted in Real Estate, selling and tagged closing costs, concessions, counter offer, hardball, how to get the best price, how to negotiate the best price, loball offers, negotiating, negotiating with buyers, should i pay a buyers closing costs. I first skimmed this article, but then went back and read it with much attention. It’s fascinating. I did not know that about counteroffers, and it goes to show why most of us need an agent who will help the non-confrontational among us make our best deal. 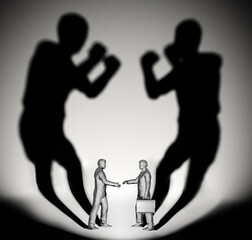 The article https://www.homelight.com/blog/real-estate-negotiation-tips-for-sellers/ also adds some interesting tips on how to create and sustain competition to the seller’s benefit. There’s as much psychology as numbers and market trends in real estate. That truth keeps hitting me.